Per Ordinance of the Maribor City Council dated 28.06.2013, the Institute Narodni dom Maribor (Maribor National Hall) was appointed successor of the contents and programme of the ECoC 2012 project. 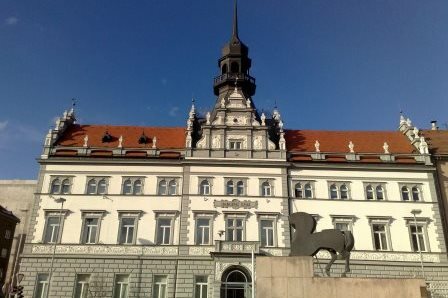 The Maribor National Hall took over the management of the subject matter heritage of ECoC 2012, with additional financing, as well as the necessary cultural infrastructure, to be provided by the Municipality of Maribor. The Maribor National Hall will provide technical, administrative and other capacities required for the continuation of sustainable ECoC 2012 programmes mostly in the Vetrinjski dvor (Vetrinj Mansion) facility, which came under management of the National Hall with the specific purpose of continuing the ECoC 2012 heritage. In addition to managing sustainable ECoC 2012 programmes, the National Hall will represent the Municipality of Maribor, both on a subject matter and organizational level, in international networking, consisting of former, current and future European Capital of Culture nominees.